This design was inspired by: Copy That, Copy Cat. 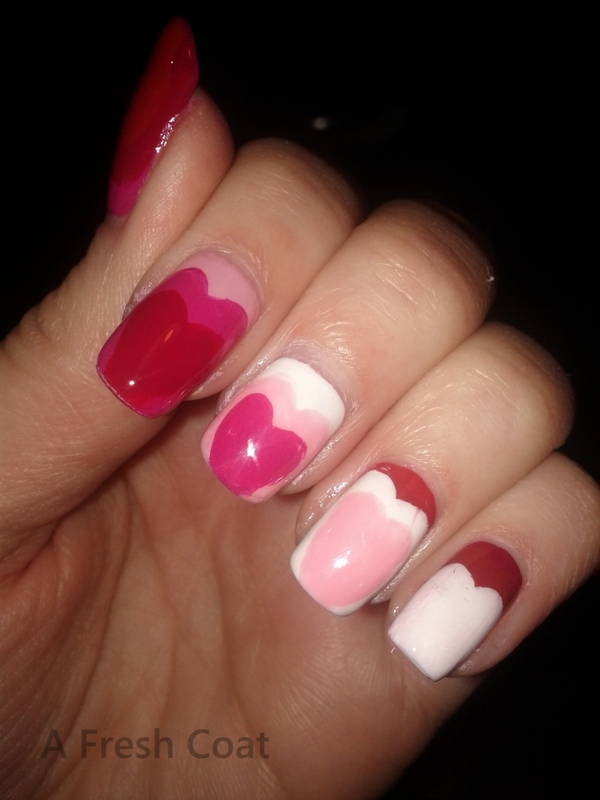 I did the hearts in rotating colors; three colors per nail. ‘Conquistadorable Color’ really blends in with ‘Bullish On OPI’. I really didn’t think that would happen from the colors by the bottles..oh well. 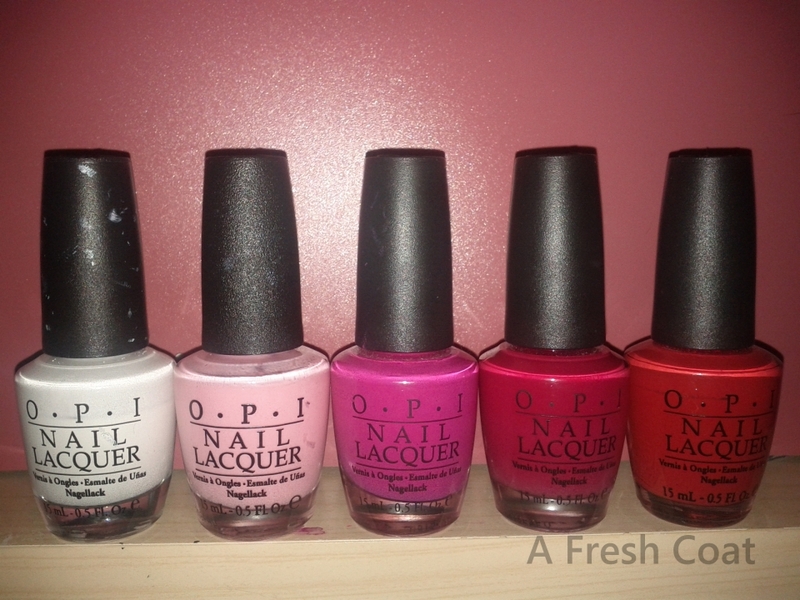 It was the first time I had worked with those colors together, and they are both from the OPI Spain collection.